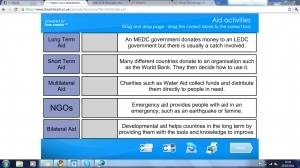 These activities are interactive for pupils to use. 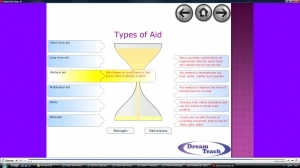 The first page focuses on types of aid, whilst the second page looks at the Aswan Dam. The mark, back and next buttons all work, although you can't move onto page two until page one has been attempted.. 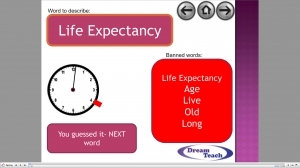 This match up activity requires pupils to drag the correct defintions to the correct answers. In this case they need to match up the key words with their definitions. 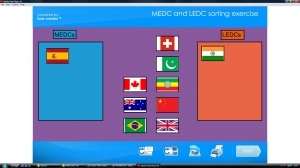 This game asks pupils to sort the flags into the correct MEDC and LEDC groupings. There is a mark and reset button at the bottom, and it can lead nicely into a discussion about whether some countries were easier to classify than others. 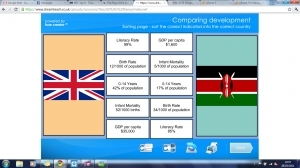 In this sorting game, pupils need to sort out the indicator values for Kenya and the UK. The mark and feedback buttons work for when the activity is complete.